It is close enough to be being finished to pop up some photos. You will note in the following that I have carefully not shown the fireplace which still needs work. Hopefully I will get up some recipes tomorrow. Click on all photos for larger ones. Here is the main work area. I love the lighting. *Sigh* This is truly my dream kitchen. The sink wall. So much bench space! My pot rack for which I have been waiting MONTHS. Excellent storage and use of an empty area. I hope it doesn’t fall down as I have so much weighty stuff hanging there! The back window area – again, more bench space and storage space I never had. That pumpkin needs to be processed today. My pantry!!! The absolute best thing!!! 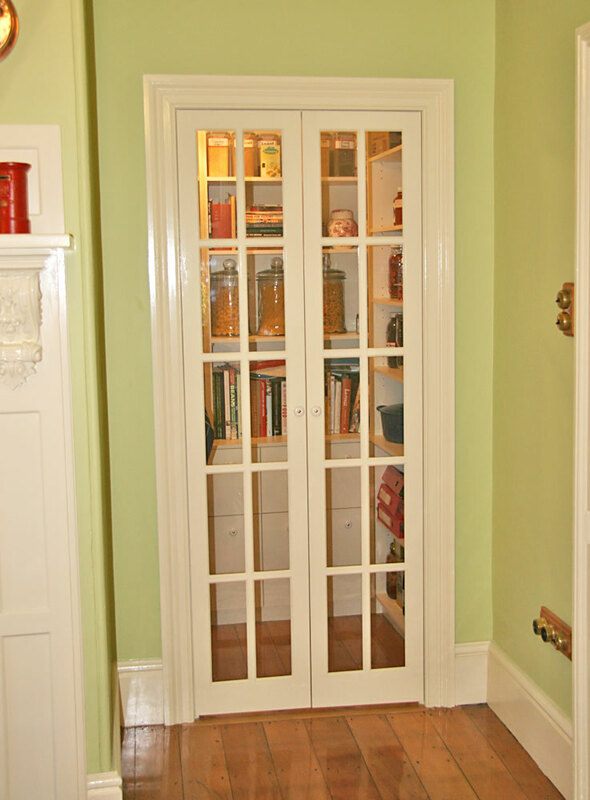 I finally have a doorway into the pantry from the kitchen instead of having to traipse out into the back servants’ hallway. 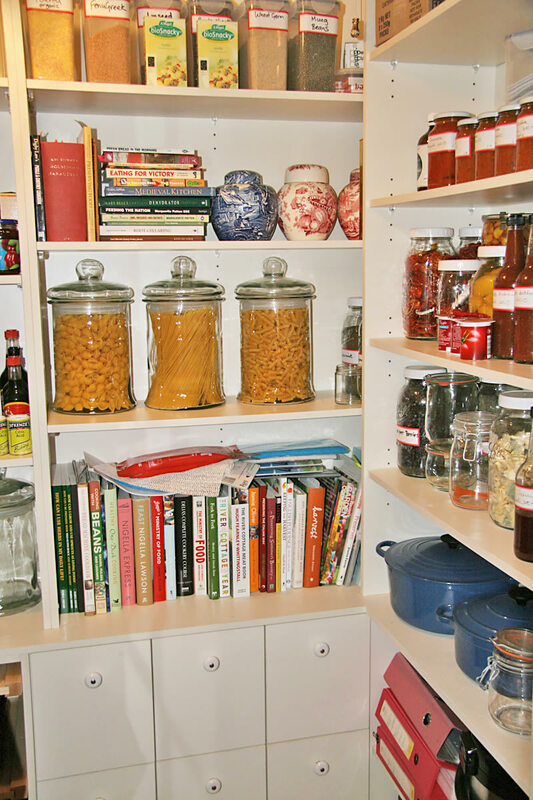 Inside the pantry – so much storage! This is just one half, there is an identical half extending to the left. I keep talking about the servants’ back hallway. The house is clearly divided into gentleman’s house and servants house, both divided by a great doorway leading from the main hall into the servants’ hall. 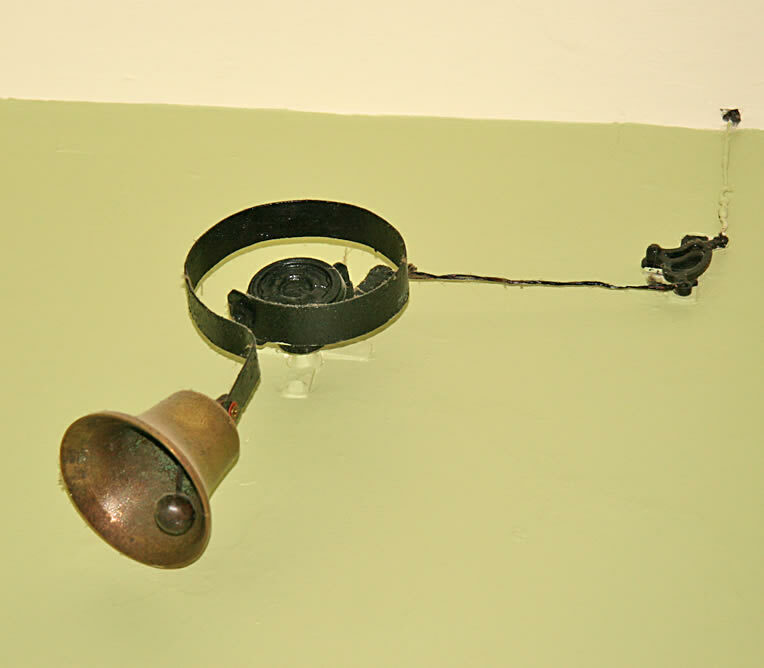 You enter the kitchen from the servants’ hall, and right above the kitchen door is the front doorbell – in the old days the lady of the house would never have answered the front door, one of the servants would have done so, thus the doorbell in the servants’ hallway. Out by the front door is a great old brass pull which operates the bell. Apologies for all the exclamation marks. I love this gorgeous kitchen- that stove is just amazing!!! 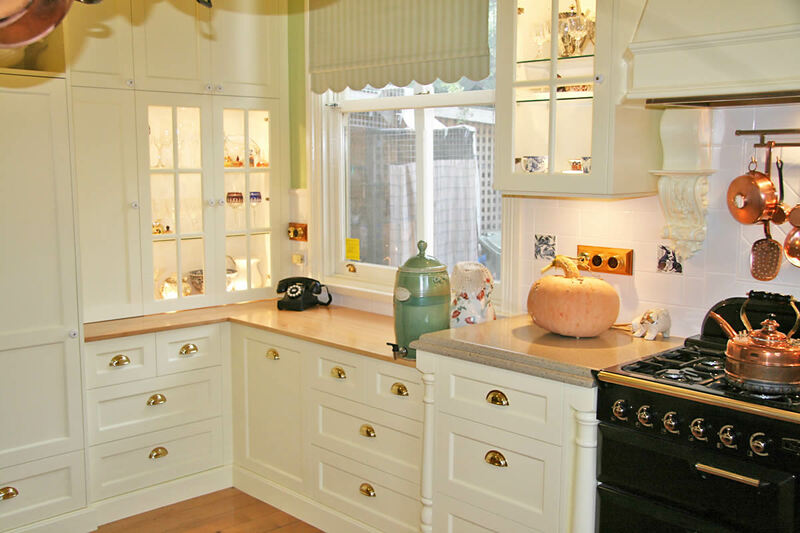 This… This is probably one of the most fantastically wonderful kitchens I have ever seen. After all those horrors that you faced with gas leaks, noise, and hung-over construction workers – this kitchen is absolutely magnificent! Thank you for posting the pictures. I admit, they’re making me sigh! Just lovely. It makes the hideous journey worthwhile, doesn’t it? Wow! It is like every single design feature that I have ever wanted is right there in the one room. 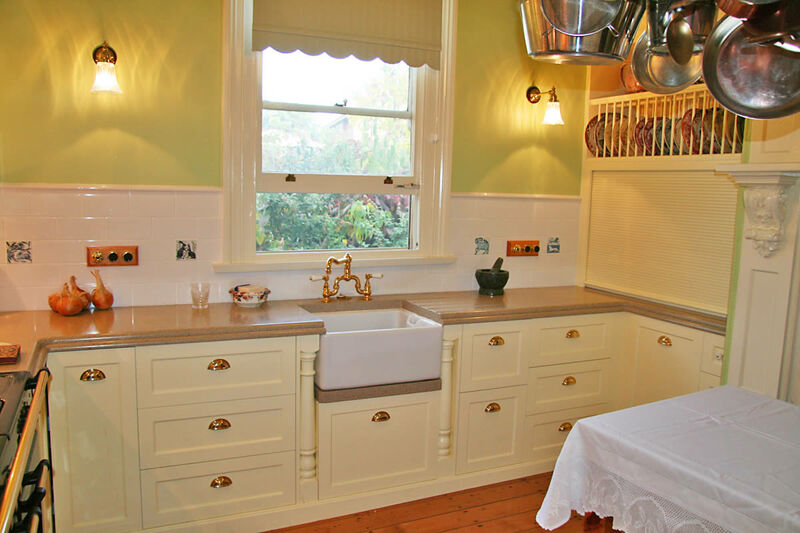 Even the details like the colour, the power points, the massive sink and the plate rack. 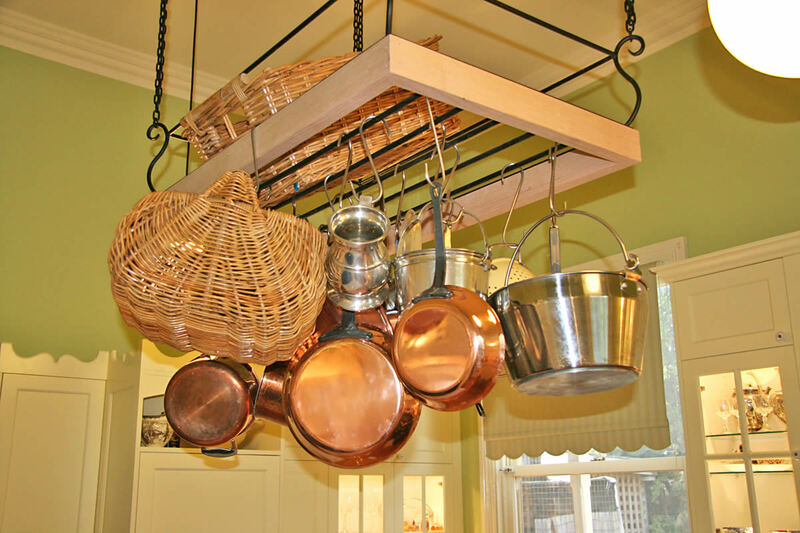 A kitchen design that would make cooking even more of a joy! I do have one question, though. Why the change in bench heights? I have never seen something like that before, and I am quite intrigued by it. Beautiful! Thank you! Now you have pointed it out I can see what you mean about the window. I was too busy looking at the great power points and all the other details to see the window. Forest and trees? Lord that looks GORGEOUS. Like out of a vogue living magazine gorgeous. Am offically jealous beyond belief. Looks fantastic! I hope it’s all worked out just how you wanted it! The kitchen has turned out to be magnificent. The various heights are most intriguing. And that pumpkin looks awesome. How do you process such a large one? It’s just beautiful!!!!! I love the green colour of the walls, and the lighting is fantastic! Everything is just wonderful.. I can imagine making all sorts of wonderful things in that kitchen! From the Stove, the colour of the walls, the gold fixings, and even the kitchenaid tucked into the corner, it is all wonderful! I hope you have many happy hours pottering around, preserving, and cooking! I have serious kitchen envy!! 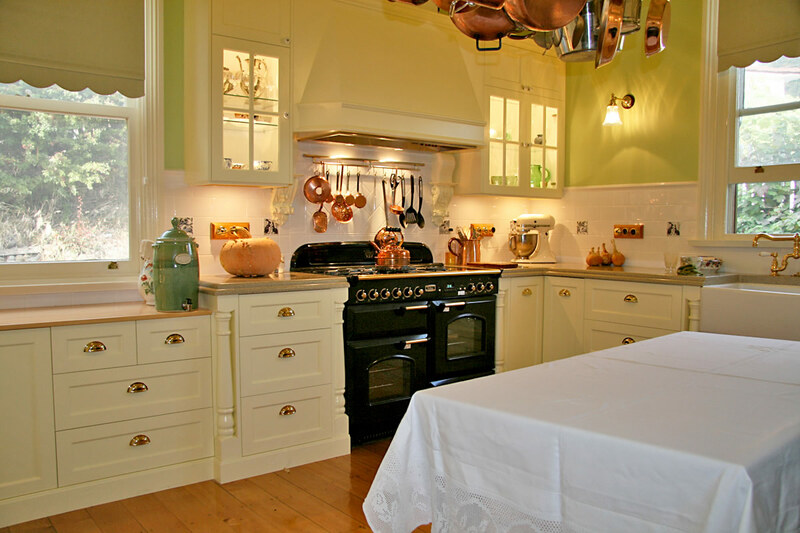 I wouldn’t be able to cook in a kitchen like that – it’s too gorgeous! And clearly this has been achieved. So well done to both you and Lenka for doing so well. Well done and here is to many years of happy cooking! Thank you for the photos. Your kitchen looks fantastic! I wish you much joy and allways happy cooking! I am from USA, North Carolina and my sister and I are looking at your wonderful site on Old London. We are researching our House family and we would like to know if we could use some of your pictures in a book we are writing on our House family, it even shows down to the street where Our Hewes, (House) family lived! We wish to use them only w/ your permission and copyright given to you. Our House family came to America from London, England in 1623 and settled in James Town, Virginia. Could you email me and let me know about using your pictures,etc and if there’s a cost we need to pay in order to use them? If not.. we still enjoy looking at your site. It’s like going back in time. Thank you for all your hard work in making your site for our and others enjoyment!! Hi! I published my wrong email address. That was my old one. Again tk you for all your hard work and all your many sites.